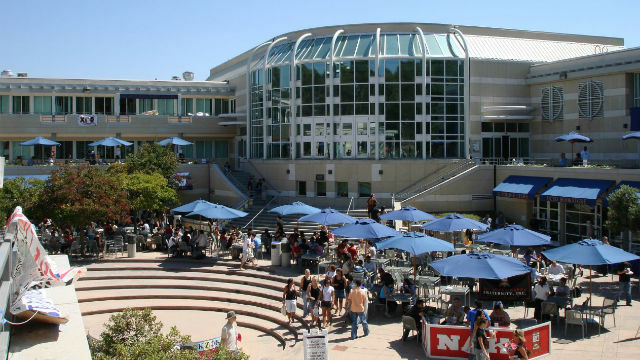 After years of rapid growth, enrollment of first-time international students at California colleges and universities dipped 3 percent last year amid concerns about political uncertainty, tuition increases, visa delays and reductions in scholarship money. California remained the nation’ most popular destination for foreign students, with 157,000 coming to the state in 2016-17, the Los Angeles Times reported. They made up nearly 16 percent of more than 1 million international students in the United States that year, according to the survey of more than 2,000 institutions released Monday by the Institute of International Education. Alyson L. Grunder, a deputy assistant secretary of state, said the U.S. ability to attract the world’s largest number of international students was “testament to the unmatched quality of American higher education,” The Times reported. But the roughly 3 percent decline in new foreign students in California and nationally was the first drop the institute has recorded in the 12 years it has collected such data, and the decline appears to be deepening. The institute’s separate tally of data from about 500 colleges and universities found a 7 percent drop in enrollment of first-time students this fall, mostly at less-selective campuses, according to The Times. Institute officials were diplomatic and repeatedly declined to pinpoint President Donald Trump’s hard-edged attitudes toward immigration and foreign visitors from countries he considers sponsors of terrorism, The Times reported. Foreign students collectively contributed $39 billion to the U.S. economy this past year, according to the newspaper.